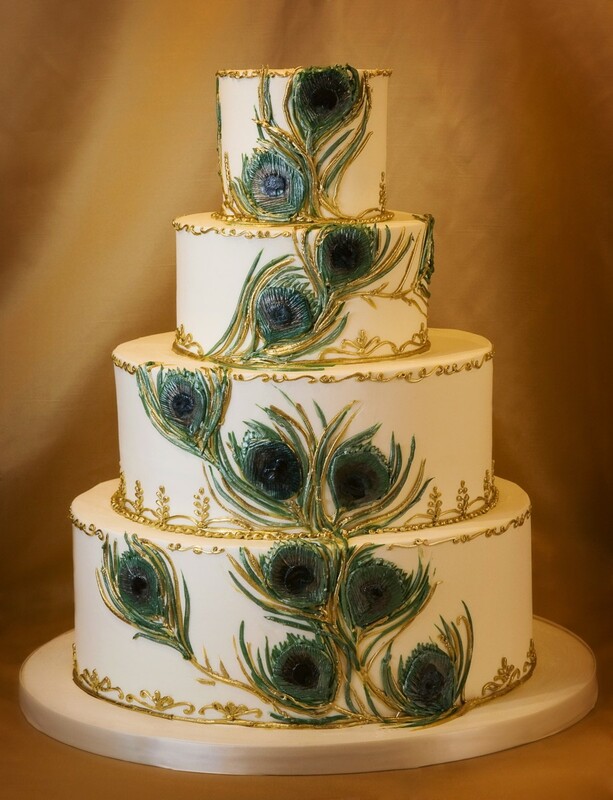 Peacock Wedding Cakes are Hot! This is my new favorite cake of the summer. This cake is iced in buttercream. 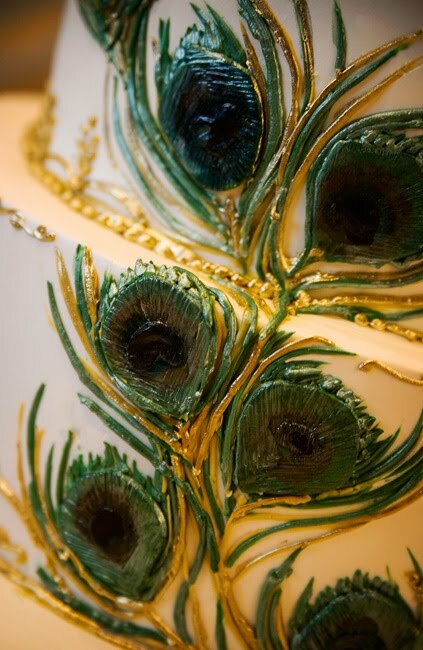 The details of the peacock feathers are made from a textured fondant center that has been painted in green shimmer and the wispy feather detail is piped in buttercream and also painted in shimmer. The gold details are also piped and then painted in gold. The cake went to the new Pavilion on Treasure Island which is a brand new venue. It is a large white permanent tent that looks out over the waterfront and the San Francisco skyline. It is a great venue and a complete blank slate so the design possibilities are endless. Thank you to Melissa Bagley http://www.melissabagley.com/ for the photographs.